If you’ve ever moved into an apartment, or are in the market for a new TV, you know firsthand the pain of dealing with cable and Internet companies. You might have had a debate with yourself-one that is common among young people today: do I even need a cable box? Or better yet, you and your roommates have probably had a debate over whether you should get an AppleTV or a smart TV. Such third-party devices allow you to stream Netflix, Hulu, HBO and more—so why would you even need a cable box these days? Well, to watch cable, for one. But, it seems silly to pay a monthly fee for cable, when you could just stream Netflix or Hulu for endless hours, right? The good news is: you might be able to have the best of both worlds, with cable and streaming services included in one package. The Federal Communications Commission (FCC) recently adopted a new ruling that could potentially force cable companies to make their content available on third-party devices. Currently, the cable box only delivers the networks on your cable plan to your TV. You’re mostly likely paying about $10 a month for that little box to just sit there, next to your TV, doing one thing. Now that you’re thinking about it—do you even watch any of those network channels enough to justify the monthly fee? I bet you are more in the habit of watching Netflix than you are scrolling through your cable plan for something to watch. But, without the cable box, you can’t check the lineup on your favorite cable network or maybe you have a guilty pleasure show that isn’t on Hulu yet. You’ve been trapped into paying a monthly fee for a few channels—not to mention, whatever monthly fees you pay for streaming subscriptions as well. 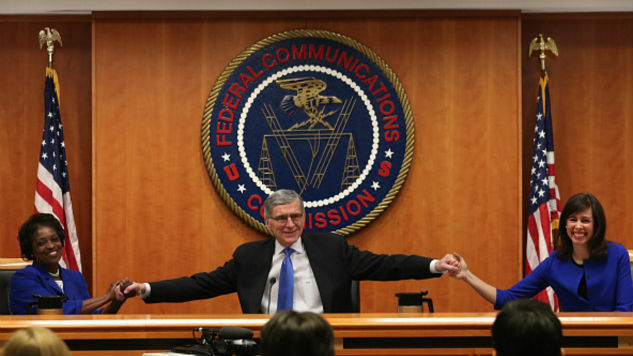 The good news is that the FCC ruling would mean a lot of positive news for cable customers. Gone will be the days of horrible customer service, being put on hold for hours—only to be told you have to go into the store—and hidden fees you were never aware of. Plus, you won’t have to pay a monthly fee for channels you watch once in a blue moon. The FCC ruling would eliminate the hold cable companies currently have on their customers to access programming through their channels. Instead, the FCC ruling would allow customers to access their TV channels and pay for them on a device or app of their choice. This would put Internet streaming and paid-TV access all in one place, on one device-and you get to choose which technology company you buy from. Think of the money you will save when you don’t have to rent that box anymore—if you’ve been on the fence about a Hulu or Amazon Prime account, you could put the money towards that! The FCC ruling will also allow programmers the opportunity to access their viewers without having to go through a cable company. This will be especially beneficial to independent programs that will benefit from an open market with fewer channel restrictions. Before you cut ties with your cable company, please note that this has not been a confirmed, done deal just yet. The FCC is an independent agency under Congress and it operates on a “notice and comment” process. This means that, while the FCC has given public notice of the rule, it has to seek and weigh public comment before it can make a final decision. Plus, we doubt the cable companies will take this without a fight, so the ruling could be drawn out for a while. In the meantime, if you’ve been considering a cable plan, it could be worth it to hold off for now and see what happens.